Models of development represent world views about human nature and environments that create a human life course (Lewis, 1972; Reese & Overton, 1970; Riegel, 1976). Models of abnormal development also reflect these views, and the data from normal and abnormal lives inform our theories of development. 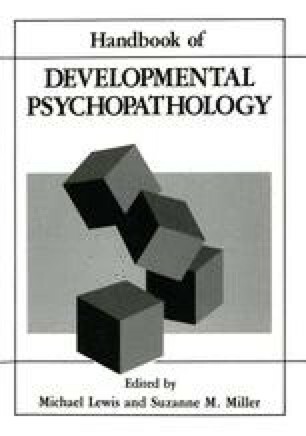 So, for example, the trait notion of personality (Block & Block, 1980) and the invulnerable child (Anthony, 1970; Garmezy, 1974; Rutter, 1981) both share the view that some fixed pattern of behavior may be unaffected by environmental factors. Likewise, information about the regression to old behavior patterns requires that we reconsider the notion that all developmental processes are transformational; that all old behavior patterns are changed into new ones. Clearly, models of development must be applicable for normal and for abnormal development.